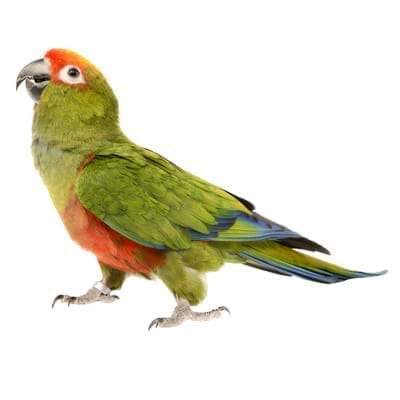 The gold-capped conure (Aratinga auricapilla), belonging to the same genus where Jenday and Sun conures are also included, is a bright colored bird with a buoyant nature. In the wild, their number is decreasing but in the aviaries, they seem to have a good population because of breeding. Although due to their agile behavior you have to be vigilant anyway, it is always safe to be extra careful when you have kids at home. 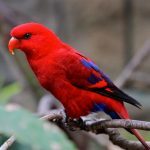 Any bird cage is suitable when it is spacious but the choice of the size comes when you live in an apartment and don’t usually have endless space. Such apartment dwellers can go for a minimum cage size of 24 x 24 x 36 inches. Needless to mention, bigger the better. 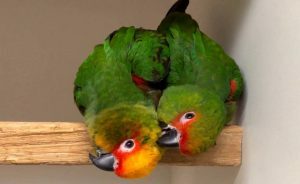 For aviaries, where you think nest box is essential, place a deep box with a size of 41 x 9x 6.3 inches. 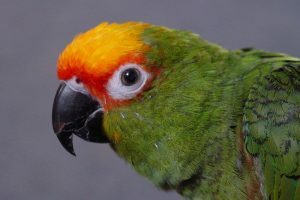 Keeping gold-capped conures within a range of 65°F-80°F is good for them, even though they can endure much lower and higher temperatures than it. 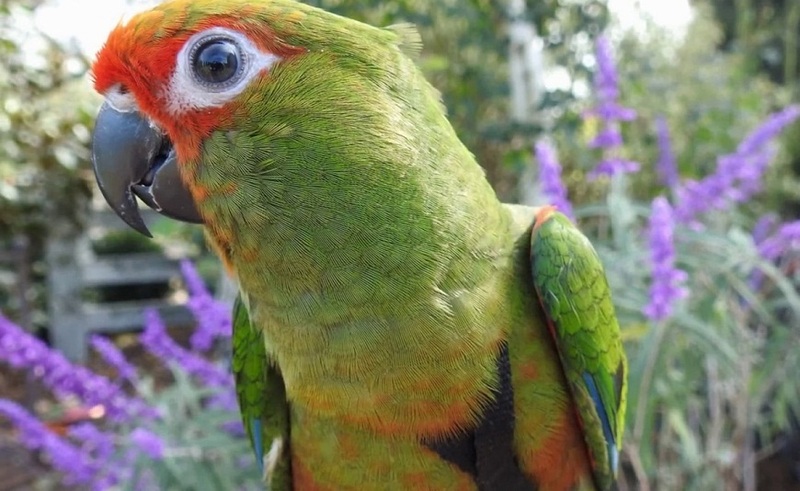 The social bird is always an entertainment for the owner due to the former’s social and friendly behaviors. 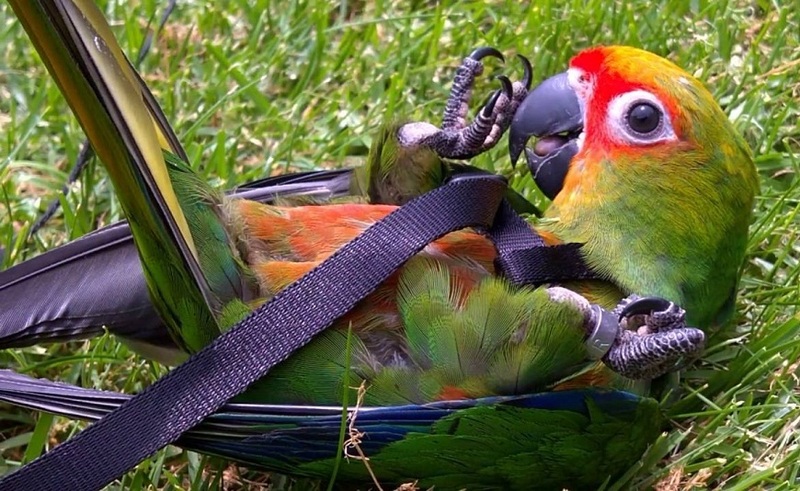 Swinging, chewing, and climbing are favorite activities of a gold-capped conure. Once you pet one, it will always be up for some quality time with you either by sitting on your shoulder or snuggling inside your pocket, while you rest in your drawing room or watch television. When it is exposed to constant communication, it learns words and repeats them. Endless energy is another thing that makes the bird always super active and when you want to keep it content on its own, provide some chewable toys. Pellet and seed mix diet with frequent inclusion of veggies and fruits is recommended for the bird. The seed has high fat content, so give them in a proper amount. Carbohydrate enriched foods could also be given. 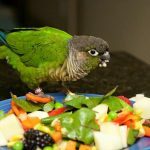 Like any other parrot, this conure is also not allowed to have avocado and chocolate. Caring for your conure includes, spending time with it for is mental enrichment, training it as this is the most easy-going bird along with feeding it as required. 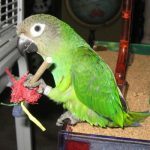 The bird, as previously mentioned has a tremendous chewing ability, might go on chewing something offered at your fingertips. Train it well so that it doesn’t hurt you while doing that, also, there comes a stage where the oh-so-jovial bird becomes nippy and emits shrill voices and scream for your attention. You need tone that tendency down through training. Cleaning is another important aspect to indulge in and make sure you clean the cage, bird bowls in a proper way. Aspergillosis, candidiasis, Pacheco’s Disease, diarrhea, and thyroid are commonly observed in gold-capped conures. Any unusual symptom like loss of appetite and feather plucking are clinchers for serious diseases. Arrange medical assistance in that case. 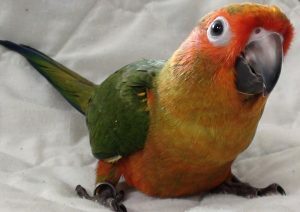 The reasonable bird costs within $250-$600. 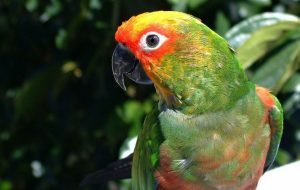 DNA test is the only way to identify the gender of the bird, besides the egg-laying capacity as males and females are not sexually dimorphic.